#JoyalBeauty #stjohns I try to use as many natural products as I can versus harsh chemicals. Joyal Beauty sent me their Vitamin C Facial Cleanser to try. It's very gentle and sulfate free. Also non- drying and ph balanced. It includes antioxidants and vitamins such as A, C, D, E, and K. It treats acne and acne scarring, psoriasis.eczema, rosacea. This is an all natural, vegan facial cleanser. Easy to use, just wet skin with water. Massage facial cleanser in circular motion. Rinse thoroughly. Genlte enough to use daily on all skin types. Critical Nutrition sent me St. John's Wort 300 mg capsules to try as well. 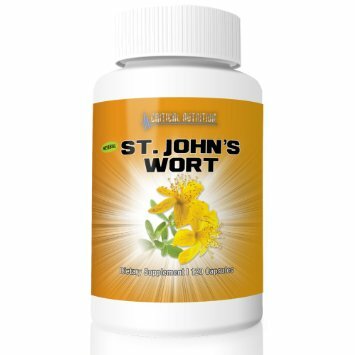 St. John's Wort has been used for centuries and is really good for naturally treating mild to moderate depression and anxiety. It also has antiviral properties that make it good for healing wounds and other viral infections. For the best effects it should be taken 1 capsule 3 times daily. It will take a couple weeks before really reaching a therapeutic level.